Sometimes, accidents happen that can damage your garage door. Even if nothing unusual has occurred, you should still have periodic maintenance checks. Our technicians have many years of experience, and they’ve accumulated the skills and knowledge needed to handle any of your garage door issues, precisely and efficiently. At B & M Garage Door Inc, our technicians have earned the right to be called garage door specialists. They’ve been doing installations for years, and they know more about garage doors than anyone else in the business. They’re hardworking, friendly, and they’ll be happy to advise you! At B & M Garage Door Inc, we go the extra mile to help you choose your new garage door. 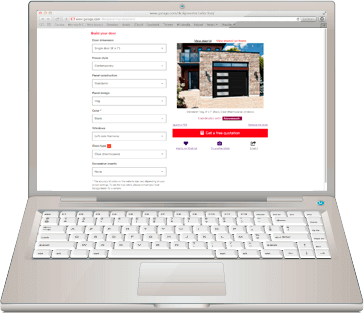 Visit our Design Centre and see just how easy it is to design a garage door that will complement your home’s exterior. The possibilities are endless, and you can see exactly how your door will look just by clicking a few buttons. Choose from different models with different dimensions, colours, decorative hardware and windows. Take a look, and see the impressive results for yourself! You don’t buy a garage door all that often – in fact, most people only do it once or twice over their lifetime. You want to get it right, and it’s always best to have someone who can help you navigate the practically endless options of models, colours and styles. 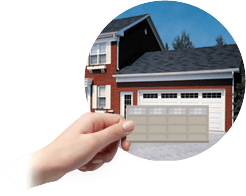 Our garage door specialists will be happy to assist you in your purchase, and they’ll also be there for you if you need a repair job for your door. We make choosing a garage door easy. You can count on us to make sure all the details are looked after. At B & M Garage Door Inc, we always strive to make sure that our customers are provided with the best products on the market – products that are durable, efficient and safe. That’s why we LiftMaster garage door openers, because they are quite simply the best. LiftMaster garage door openers eliminate the need for heavy lifting, because their strong motors handle it for you. You know that your garage door will be properly closed, so you and your family don’t have to suffer the effects of strong winds and extreme temperatures. It’s also a highly effective system for discouraging intruders. Misaligned rollers? Funny noises? If you’re noticing these problems with your garage door system, don’t try to fix it yourself. At B & M Garage Door Inc, our garage door specialists want what’s best for you, and with their outstanding work ethic, they’re the best option when it comes to fixing your door. If you have problems with your garage door, contact us. Our best employees will let you know exactly what you need, and they’ll replace or repair any defective parts.